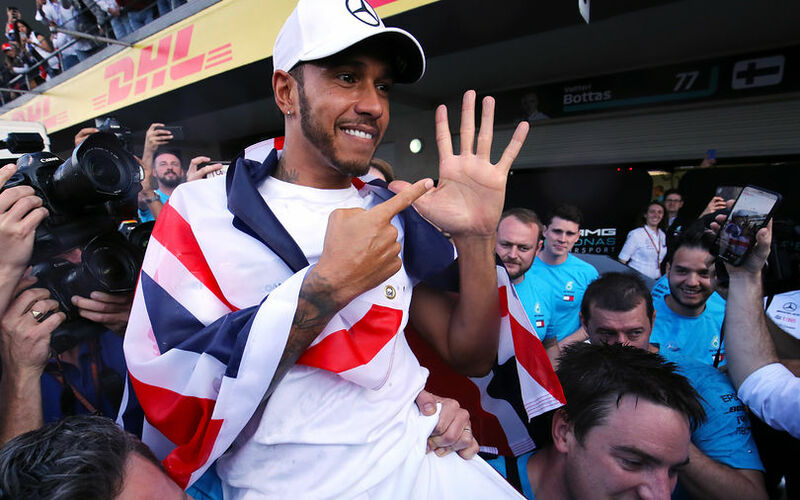 Lewis Hamilton endured a difficult race at Mexico, but it was more than enough to secure a legendary fifth World Championship, equalling Juan Manual Fangio and coming ever closer to Michael Schumacher's illustrious 7 titles. I dont like refueling. People say DRS is gimmicky... refueling is a real gimmick especially when some teams have B-teams. It will be so dirty. Slower cars fueling less just to block faster cars etc. and how will those slower cars get in front of the faster cars? Its far from Boring now, so why bring it back ?! And I know they are fuel limited now, I'm just saying that adding refuelling wont add anything to the show other than more chance of pit stops going wrong with a sticky fuel nozzle. 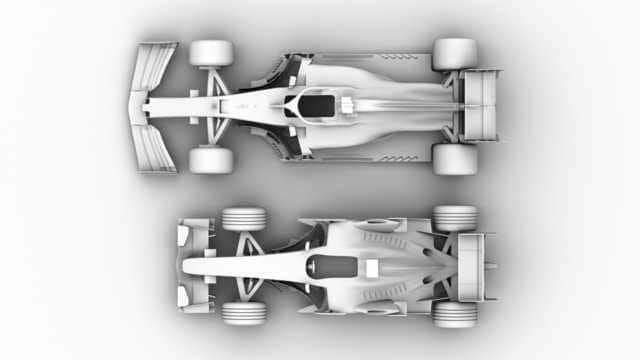 People seem to think F1 of 15yrs ago was way better than it is now, when the only thing that was certainly better was the sound/volume. F1 needs tyres capable of that, the current tyres can't even complete a qualifying lap without losing a decent chunk of their performance. There were times you know that a driver was probably going to pit in the next few laps, as teams knew how much fuel others had onboard, so if the guy in front next year was a Verstappen or Grosjean or KMag, and you know he will definitely pit in 1-3 laps time, the result is, you probably don't risk it and save your tyres/fuel and not bother attempting to overtake so when they pull in to the pits, you can turn it all up and use the best part of the tyres when in clean air. So IMO refuelling doesn't promote overtaking at all. why do you think they waited and overtook in the pits?? coz they couldnt follow and stay behind another car.... and without the DRS there was no chance to even come near another car ( as the aero, grooved tyres etc didnt allow them).....so refueling was not the reason of lack of overtaking. People want to bring back refuelling, a time when there was no overtaking. And refuelling obviously didnt promote overtaking, otherwise there would have been overtaking in that era which you just said didnt happen. I am open to the notion of refueling being allowed as an OPTION, it did add to the spectacle. I do not like the compulsory anything, including tyre stops. 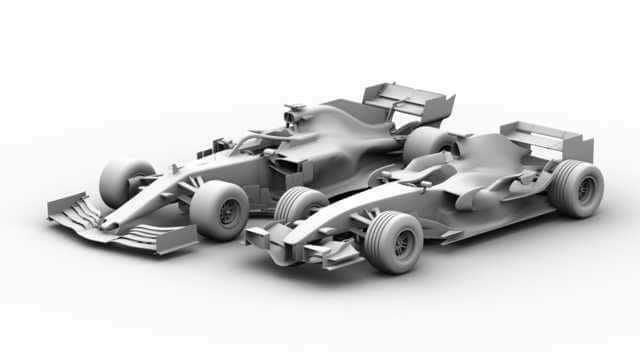 The teams should have as many options as possible, but this would require the tyre manufacturers to join the game then. 10 different options of fuel and tyres V a straight through with the strategies converging on the penultimate lap would be nice. Every pitstop carries risks of something going wrong. That's why the teams try to go one stop whenever possible. The only way to change that is to change the risk/reward ratio. I dont think it would be a given. There has to be a point of diminishing returns on the carried weight, so it would probably be between a third and half way into the race. This would mean that the car would have to be in a position to regain 25+ seconds and re enter the race in a favorable position, which is why I say the tyre makers would have to play. If it was a simple dash on low fuel and softest tyre to lap 15+- then cruse to the end on a tyre that would go the whole distance without a stop, that would be a no brainer. If for instance tyre and fuel had to be different stops, or only the softest while fuel, or a good tyre would last the whole race and die 3,4,5 laps from the end, things would need to be considered. A pitstop in the last half dozen for fuel or tyres could stir things up, especially if there is a long safety car. That seems to be a non sequitur. Just because they're slightly shorter, doesn't mean they can overtake more. The refuelling era was as dull a period as any today. ok but can u point the finger for dull races on the refuelling alone? There's no evidence that refuelling will make for better racing (whatever that means) if the rest of the rules stay as they are proposed. You could lower the weight by various means - dumping the hybrid stuff and just having silly power levels from the ICE alone would cut weight by a fair amount, for example. And also there is no evidence that refuelling caused the snooze fest last time we had it. But it surely does give a different strategies and more entertainment than the current ONE undercut chance and tyre sav8ng and cruising for 50 laps on one tyre.... if we had refuelling some one would pit after 25 laps and cause a chaos and ineffect more opportunities on track. There is generally one quickest way to do a race. Going lighter but adding pitstops is unlikely to be better than doing fewer pitstops. Refuelling adds time to the stop too, don't forget. Then, assuming the lighter guy can cut through the field - no guarantees - he comes up to a guy who is likely to carry on when he has to pit again for fuel or tyres. Also, bear in mind that the total fuel allowed is the same for both so the short fuelled guy has to use more fuel to catch up so at some point he will also need to save fuel. But he was carrying less weight for the early part of the race, so fuel and tyres should last longer. So different strategies and different risks.